Arguably the best reminiscence book ever written by a railwayman and out of print for decades - this is no rose-tinted spectacles view either, but true life from the perspective of a footplateman from WWI onwards. Although based at Neyland on the Great Western Railway, the events described could have happened anywhere. The aficionado has long known the value of this superb read, and second-hand copies of the original book have been selling for upwards of £30! 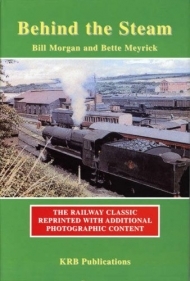 This is a full reprint, unaltered except for a new introduction and additional photographs.